Home Resource How do you even know this crap? How do you even know this crap? This post won’t be well organized so lower your expectations first. 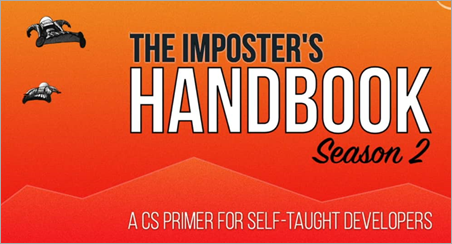 When Rob Conery first wrote “The Imposter’s Handbook” I was LOVING IT. It’s a fantastic book written for imposters by an imposter. Remember, I’m the original phony. The next “Season” of The Imposter’s Handbook is all about the flow of information. Information flowing through encoding, encryption, and transmission over a network. I’m also interested in the flow of information through one’s brain as they move through the various phases of being a developer. Bear with me (and help me in the comments!). I was recently on a call with two other developers, and it would be fair that we were of varied skill levels. We were doing some HTML and CSS work that I would say I’m competent at, but by no means an expert. 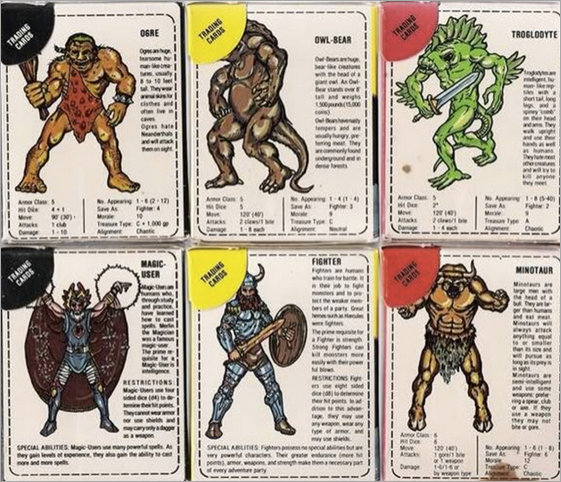 Since our skill levels didn’t fall on a single axis, we’d really we’d need some Dungeons & Dragon’s Cards to express our competencies. I might be HTML 8, CSS 6, Computer Science 9, Obscure Trivia 11, for example. We were asked to make a little banner with some text that could be later closed with some iconography that would represent close/dismiss/go away. Both are fine ideas that would work, while perhaps later having DPI or maintenance issues, but truly, perfectly cromulent ideas. I offered, you know, there MUST be a Unicode Glyph for that. I mean, there’s one for poop.” Apparently I say poop in business meetings more than any other middle manager at the company, but that’s fodder for another blog post. We searched and lo and behold we found ☒ and ⊝ and simply added them to the end of the string. They scale visibly, require no downloads or extra dependencies, and can be colored and styled nicely because they are text. One of the engineers said “how do you even know this crap?” I smiled and shrugged and we moved on to the doing. To be clear, this post isn’t self-congratulatory. Perhaps you had the same idea. This interaction was all of 10 minutes long. But I’m interested in the HOW did I know this? Note that I didn’t actually KNOW that these glyphs existed. I knew only that they SHOULD exist. They MUST. How many times have you been coding and said “You know, there really must be a function/site/tool that does x/y/z?” All the time, right? You don’t know the answers but you know someone must have AND must have solved it in a specific way such that you could find it. A new developer doesn’t have this intuition – this sense of technical smell – yet. How is technical gut and intuition and smell developed? Certainly by doing, by osmosis, by time, by sleeping, and waking, and doing it again. I think it’s exposure. It’s exposure to a diverse set of technical problems that all build on a solid base of fundamentals. Rob and I are going to try to expand on how this technical confidence gets developed in The Imposter’s Handbook: Season 2 as topics like Logic, Binary and Logical Circuits, Compression and Encoding, Encryption and Cryptanalysis, and Networking and Protocols are discussed. But I want to also understand how/if/when these topics and examples excite the reader…and most importantly do they provide the reader with that missing Tetris Piece of Knowledge that moves you from a journeyperson developer to someone who can more confidently wear the label Computer Science 9, Obscure Trivia 11. What do you think? Sound off in the comments and help me and Rob understand! Sponsor: Preview the latest JetBrains Rider with its built-in spell checking, initial Blazor support, partial C# 7.3 support, enhanced debugger, C# Interactive, and a redesigned Solution Explorer.